This small butterfly always rests with its wings closed and as a result you never see the brown upperwings. 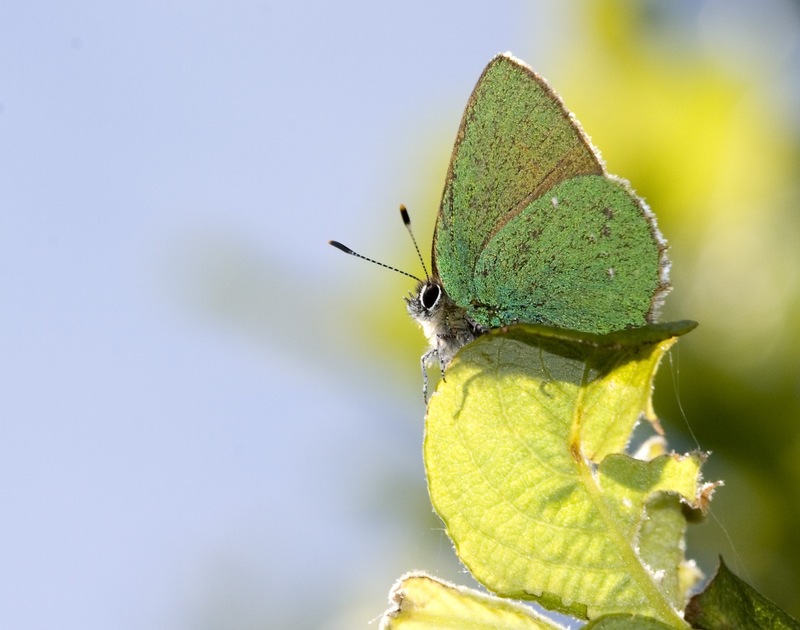 The underwings are an iridescent green with a trail of small white marks. The flight is fast and the butterfly is easily lost to view when flying over green vegetation.